In 2003, after two years of praying, dreaming, and studying, Camp David of the Ozarks incorporated as a non-profit 501©3 corporation for the main purpose of running a summer camp for children of prisoners. In April of 2004, two young families went into the woods on a family farm and began cutting down trees and burning brush to prepare for cabins to be built. By July, with the help of more family and friends, CDO had built two covered wagon cabins, two outhouses, and a cook shack. They set up a donated above-ground pool and borrowed a 24 X 36’ revival tent. That July 2004, CDO had it’s first two weeks of camp with a total of 18 campers ages 8-12. The needs of the children and the impact of the summer camp experience left the team convinced that this was a worthy endeavor. 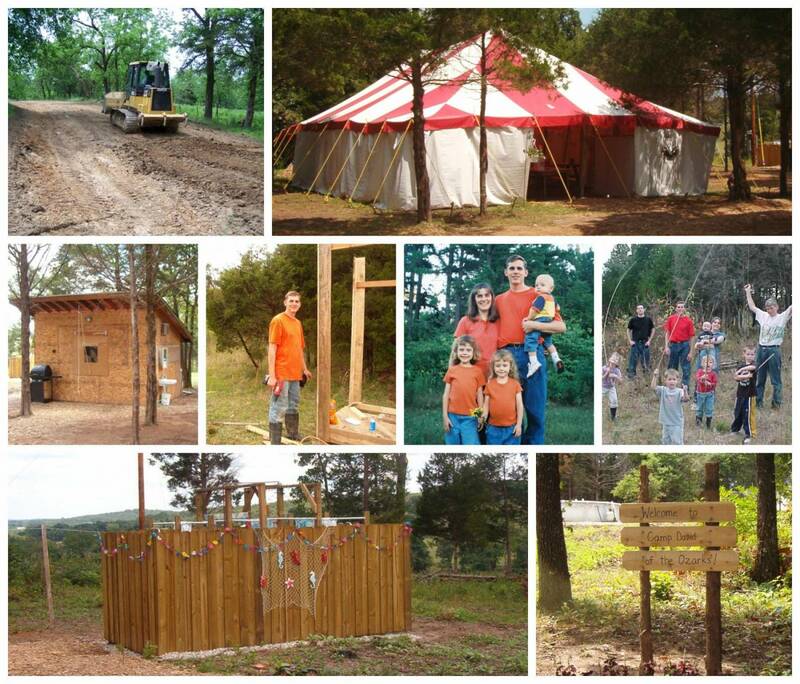 The next year, CDO doubled by running two more weeks of camp and building another cabin, and hosted a total of 54 campers. The following year, 2006, had more significant growth from the groundbreaking of a multi-purpose building to adding another week of camp for teens of prisoners ages 13-16. The following years had small growth steps, until 2010 where there was again a significant jump. That year CDO jumped to 8 weeks of camp and had 174 campers ages 8 –16. They also built two more camper cabins and began construction on a large two-story cabin. As God continued to provide, CDO constructed an Office Building in 2012 and a new double cabin in 2014 which enabled them to begin hosting Family Retreats for prisoner’s families. As the CDO Team saw the incredible impact these family retreats were having, they again adjusted their mission statement to reflect their growing passion– to give hope to FAMILIES of prisoners. Recent years have had an average of 225 summer campers, with 20% of the staff being former campers. Summer camps have an average of 150 volunteers that come from the local area, and mission teams from around the USA. In addition to summer camp, the year-round ministry to prisoners’ families includes Mentoring, an After-school Program, Family Retreats and Angel Tree parties in December.